2. 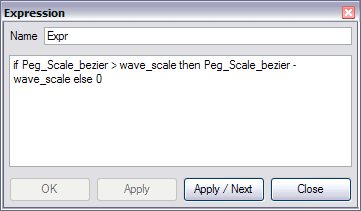 In the Add Column dialog box, type a name for the column and select Expression from the Column Type drop-down list. 4. 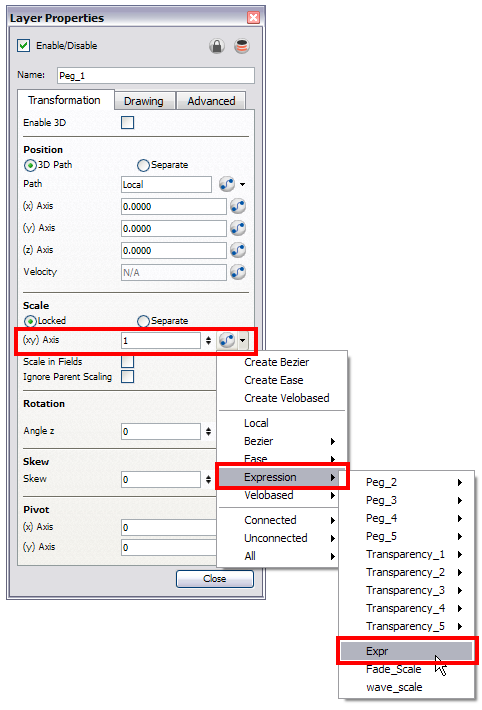 Double-click on the column's header to open the Expression dialog box. 5. Type the expression in the dialog box. 6. 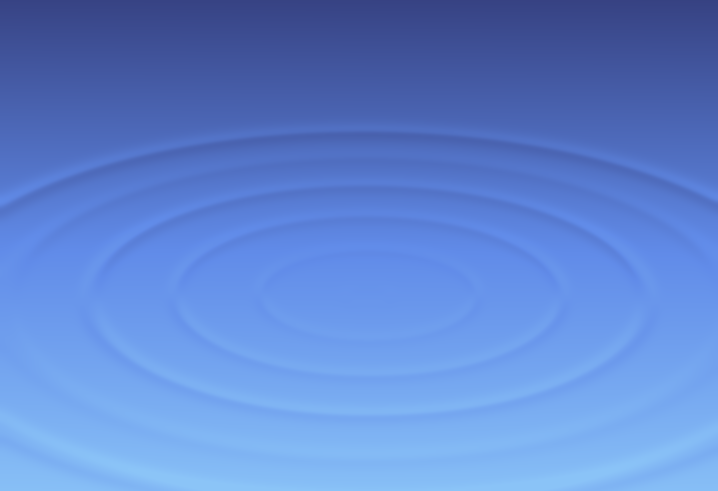 Click OK or Apply to activate the expression. The cells in the expression column are populated with values based on the expression you created. 7. 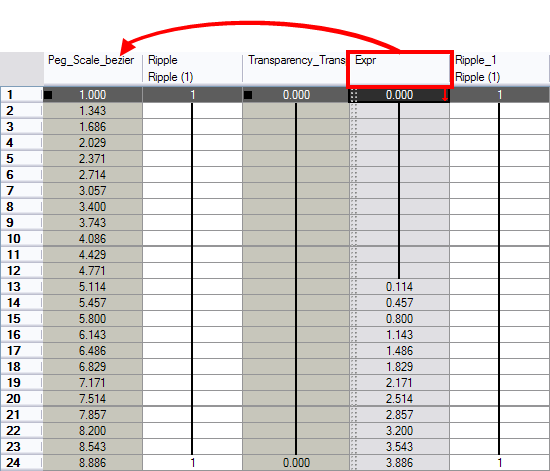 To apply the values in the expression column to an effect, you must link the expression column to the parameter values. 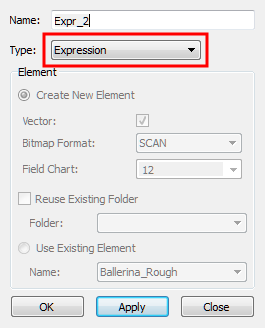 In the drawing layer's editor, link the function to the new expression column.